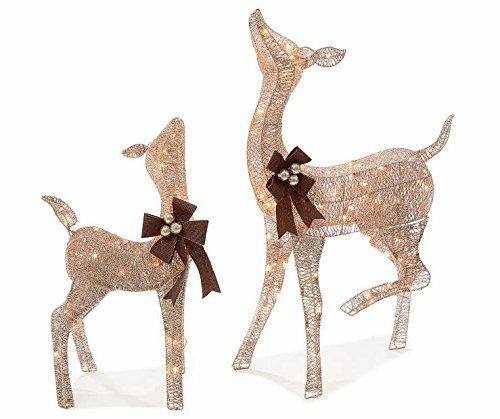 This beautiful doe and fawn set will look magical in your holiday display. The gold shimmering hue paired with a dark bronzed bow and bells add a delightful touch to your Christmas décor. Perfect for displaying in an outdoor arrangement or foyer.